FRANKLIN SP. Z O.O. SP. K., Veitransport - logistikktjenester, Ekspeditører og konsolidatorer, Lagring og midlertidig lagring - tjenester,r på EUROPAGES. EUROPAGES > Veitransport - logistikktjenester > FRANKLIN SP. Z O.O. SP. K.
Services in the field of transport and logistics. 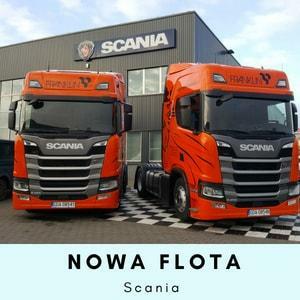 We provide road, full loads and groupage transport in relations with France to Polish; France to Germany; France to Belgium; France to the Netherlands; France to the Czech Republic and Germany to Poland. 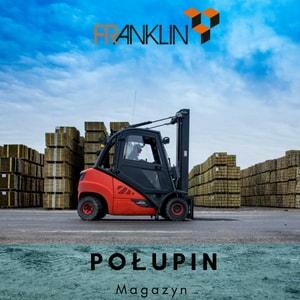 We have our own logistics warehouse in Poland, Połupin 66-600 (57 km from Frankfurt / Oder) - 4 hectares, 1800 m 2 under roof. We are looking for clients to logistics service and distribution of goods on the Polish and European market.